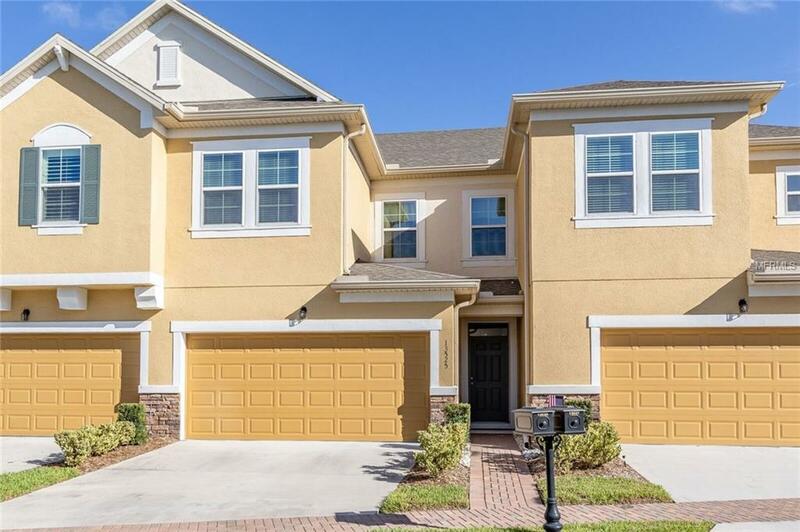 Welcome home to this IMMACULATE 3-bedroom, 2-bath townhome in the highly sought-after Magnolia Pointe community! This is the Cove model with 1,772 sq. ft., a 2-car garage, and loads of upgrades! Stepping into the home, you will be greeted by the spacious great room, which offers plenty of space for gathering and entertaining. Chefs will love the kitchen, which features GRANITE countertops, stainless steel appliances, 42 cabinets, beautiful subway tile backsplash, and pantry. Downstairs also features a half bath. All bedrooms are located upstairs. Retreat to the comforts of the master suite, which offers a spacious bedroom with sliders that open to your own private balcony. The master bath features a double vanity with GRANITE countertops and a walk-in shower. The second bedroom offers an en suite bath with a double GRANITE vanity. The patio is the perfect place to sip your morning coffee. This home also features double pane windows, no rear neighbors as well as a pavered walkway and sidewalks. Magnolia Pointe offers a host of amenities including a clubhouse, community boat ramp with access to Johns Lake, community pool, tennis, basketball, fitness center, playground, dock and gazebo, and 24-hr. guard gated entry. This home has everything on your wish list and more, so come see it today!